The Maldives is renowned for its coral gardens and multiple coloured tropical fish that swim lazily in the crystal clear waters. For a visitor, the ideal holiday cannot be fulfilled without a glimpse of these underwater marvels. The turtles, rays, sharks and seaweed growth provides a breathtaking view. It is no wonder, the Maldives is included among the best diving spots of the world. The average visibility is around thirty meters sometimes even extending to sixty meters. 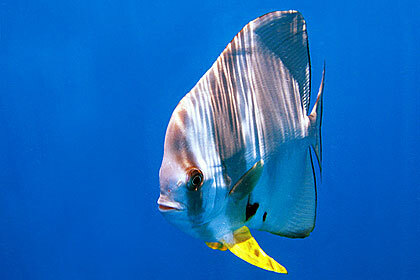 Maldivian waters are a paradise for divers. The 'Cyber Diver' has rated the Maldives as one of the top 10 marine habitats in the world (the only one with in Asia). Under the category "best dive sites" the archipelago is described by Cyber Diver (AsiaWeek August 18 2000, P 93) with the telling phrase, "too many to list". Bellow are some of the very popular dive sites in the Maldives and are ranked among the best in the world. Dive schools are found in almost all resorts. Some liveaboards are also equipped with dive bases. The schools offer internationally recognised certificates and are usaully affiliated with PADI, NAUI or CMAS. The courses are conducted by qualified instructors. Almost all schools offer PADI Open Water Diver certificates while some schools even provide courses up to professional levels. 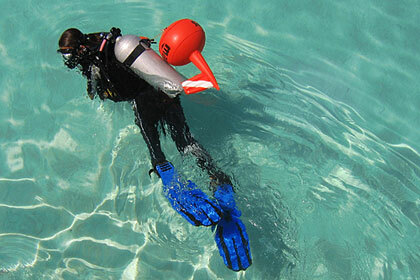 Most diving equipment can be hired from the dive schools. It is always rewarding to regard these beautiful waters with some caution. Diving alone is never recommended. It is best to dive in groups and with a good instructor. It is better if you do not make decompression dives and never go below thirty meters. The currents and tides can become quite nasty sometimes. It is advisable to take the currents and tides into consideration while diving. It is also good to be not too far away from the boat as this may be useful in case of an emergency.